I never tire of meeting people who are passionate about their craft, and Franco Bardi personifies that quality. 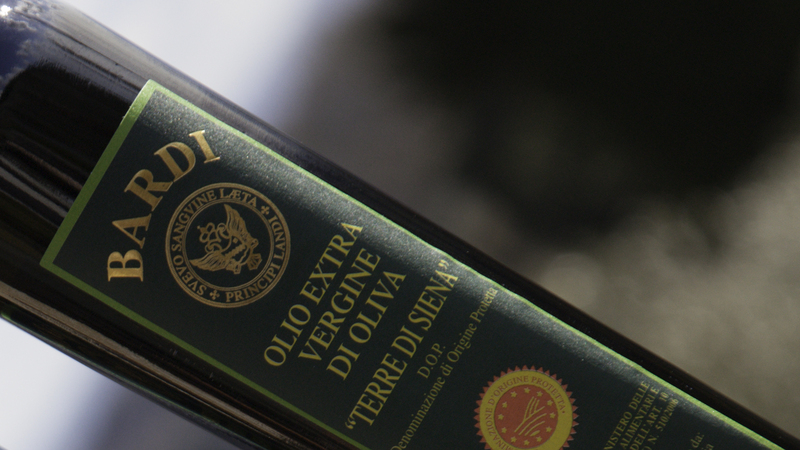 La Carraia di Franco Bardi is not your grandmother’s olive oil. The first time I saw it I could not believe the color: a deep green with gold hints. Then as Franco laughed at my disbelief, he urged me to try it, so I brought a small cup of this liquid gold to my lips and was blown away. The oil was intensely aromatic and very rich. I looked up, and there was Franco smiling at me with an “I told you so” grin. He did not lack confidence noting his oil was the best, and more or less challenged me to disagree. As much as I like a good debate, I was happy to agree that it was damn good. Evidently, I am not the only one who thinks so. He explained to me that his oil has won the prestigious Sirena D’Oro for the best media frutta or medium-bodied olive oil in Tuscany. Ok, now he was gloating. La Carraia extra virgin olive oil is made from 14 hectares (33.6 acres) of olive groves and is only from the first cold press of three olive varieties: Moraiolo, Frantoio and Leccino. Moraiolo and Frantoi make up the majority with about 10% Leccino. Franco noted he only uses sulfur and copper in the olive grove, making it for all intents and purposes au naturel, but he doesn’t believe in the moniker of “organic,” noting that the pollution of cars passing the grove and basic realities like acid rain make it an impossible concept. Olio Di Franco Bardi is not imported, at least not yet. In Tuscany it would not qualify as cheap, but it’s a relative bargain when you consider it knocks out many brand-name olive oils that ask for double the price. They are thanking their lucky stars you have not yet tried La Carraia. Bruschetta is one of the best ways to enjoy great olive oil. Olive oil is generally picked in late October–November, and when fresh, it is intensely aromatic. It mellows with age, the color and flavor becoming less intense, but it does not get better. Olive oil has a shelf life of one year. To that end, top olive oils often mention their harvest date. Thank goodness it is an annual gift! However, new oil is what you seek, especially for great Bruschetta. Bruschetta is a simple treat, and while it may have toppings, this version is all about the olive oil. Extra virgin olive oil—only the best! While still piping hot, take the flat end of the garlic clove and lightly rub it on one of the toasty sides. Liberally pour the olive oil over the warm bread. The warmth of the bread helps to release the aroma of the olive oil and garlic. Add a pinch of salt—it will bring out the flavor in the olive oil. Serve immediately. Author’s Note: Serve preferably with a Sauvignon Blanc, which is a perfect combination with the garlic. One of my favorite Italian Sauvignon Blancs is La Foa by Colterenzio from Alto Adige in Northern Italy.